I will confess to you — and is my face red to do so! — that I have never read a single Little House on the Prairie book by Laura Ingalls Wilder. I did watch the television program, but frankly not religiously. 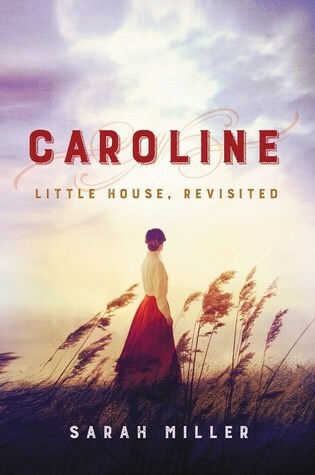 Still, I like All Things Western, so when I learned about Caroline: Little House, Revisited, a new novel by Sarah Miller, I was all in. The novel was authorized by Little House Heritage Trust, the first knock-off to earn this honor. Caroline: Little House, Revisited tells the familiar story of the Ingalls’ journey from their home in Wisconsin to the Indian territories of Kansas. But, rather than telling it from the perspective of Laura, this story is told from the perspective of Caroline — Ma, as she is known to most of us. In this novel, we are told about the perils facing the family on their journey, and also as they made their new life in the unfamiliar Indian territory in Kansas. Caroline, it would seem, is the glue that held the family together. She is not fearless — far from it, in fact. 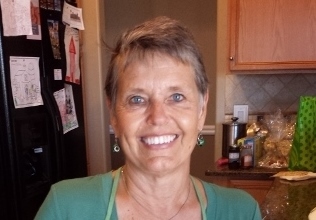 Her new life terrifies her, but she works endlessly and uncomplainingly, to keep her family fed and clothed and safe from all kinds of dangers. The novel provides a picture of life in the 1870s in unsettled middle America. It provides a good look at what it must have been like to move, uninvited, into what had been Indian land — both from the settlers viewpoints and the viewpoints of the Indians. The story isn’t presented as black and white, but rather, gray. The book shows the relationship between Charles and Caroline, and, if accurate, they were truly uncharacteristically in love. It confirms the books’ and television show’s assertion that Laura was a tomboy and extremely close to her father. It demonstrates the absolute reliance upon neighbors, whether you liked them or not. Man, it was hard work being a woman in the pioneer days of unsettled territories. While I have always looked with some envy on pioneer women, this book makes me once again realize that I would never have made it. 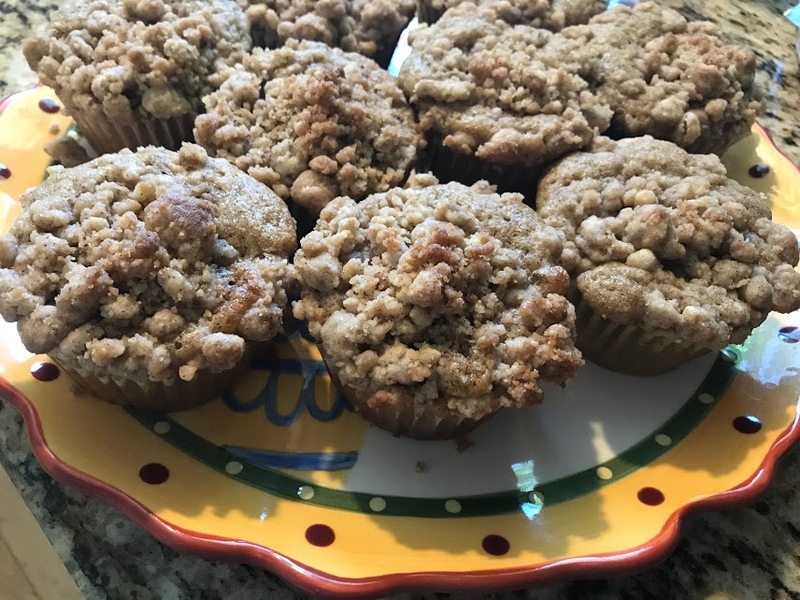 I am no Caroline Ingalls. There are three reasons why a new refrigerator currently lives in my Denver kitchen. First, the ice maker stopped working in our old refrigerator. For a while before we left for Arizona, I made do by purchasing ice from the grocery store. That worked reasonably well, though it was admittedly kind of a pain in the, well, you know. But for some reason, since we’ve been back in Denver, I have been wholly and completely unable to remember to buy ice. I put it on my grocery list and still don’t buy ice. It only becomes a crisis when I go to make a gin and tonic and I don’t have ice. Similarly, a martini cannot be either shaken OR stirred without ice. Second, it came to my notice several months ago that on the television program Elementary, the refrigerator which Sherlock and Joan Watson have in their PURPOSELY VINTAGE NEW YORK CITY KITCHEN is the exact same refrigerator in MY VERY OWN KITCHEN, which is not vintage. Or at least not meant to be vintage. And third, Bill and I moved into this house 23 years ago. One of the first things we did was to replace the existing appliances. Since I can’t remember what I did yesterday, I certainly can’t remember why we were so hell-bent on replacing the appliances, but we were. And the first thing we replaced was the refrigerator. Back in those days, stainless steel was not really an option unless you were purchasing appliances for a restaurant. Black may or may not have been an option, but we instead chose to go with a sort of off-white beige color, thinking that we would then buy all of our appliances in that color. Live like it’s your last day! What we didn’t account for was the fact that there were NO OTHER APPLIANCES sold in that color. In-wall ovens, dishwashers, range tops – none of them were made in that particular color. 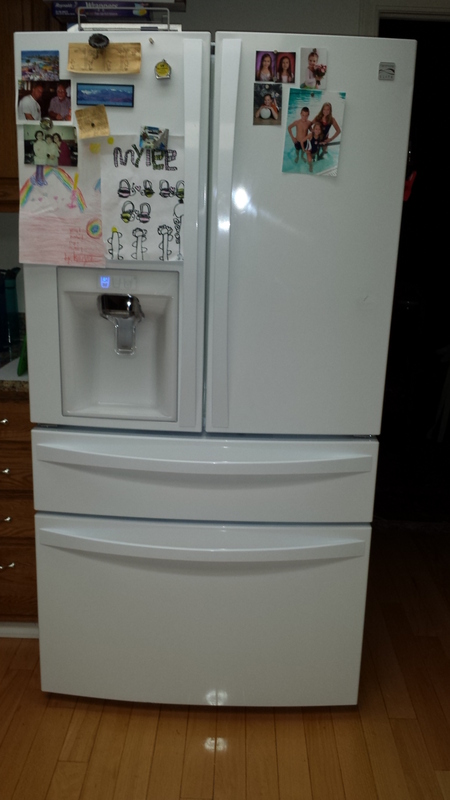 And so for a 23-year period, we have lived with a refrigerator that doesn’t match any of our other appliances. While it hasn’t bothered me all that much, I’m sure every visitor I’ve ever had to my kitchen has cringed when they noticed that my fridge was a peculiar color. 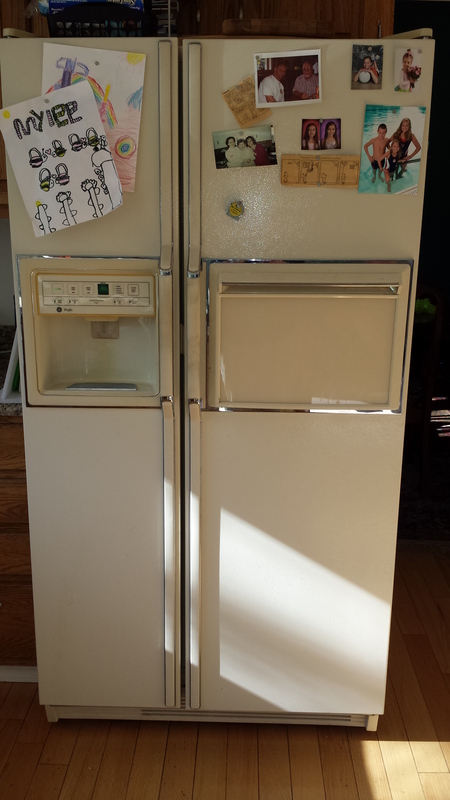 But given the no-ice thing and the fact that the refrigerator looks like Ma and Pa Wilder might have used it in their little house on the prairie, we elected to bite the bullet and purchase a new refrigerator. We made a couple of trips to the Sears Outlet Store and eventually decided on a nice, contemporary-looking, WHITE refrigerator. I hear the gasps that we didn’t go with stainless steel, but I’m old-fashioned and I like my white appliances. I just don’t like my off-white appliances. And besides, last summer we purchased a new dishwasher in white, and I didn’t want to go off on the same tangent as 23 years ago. White it is. It was kind of sad to see my refrigerator go on Saturday when the extremely nice and extremely strong refrigerator delivery fellows took away our old fridge. Still, I don’t have a list of fond memories of the thing, though it has served me well. In fact, about the only refrigerator-specific memory I have of old Mr. Chiller is an incident that took place shortly after Bill and I got married. It’s safe to say that we had a bit of a difficult time figuring out just who wore the pants in the family for a while, until we realized that neither of us did. Anyway, one day I got mad at Bill for something, what, I don’t even recall. But I was MAD. So mad, in fact, that I took an as-yet unopened Taco Bell burrito and threw it at him, as hard as I could. He, being quite agile, ducked. The burrito missed him and went under the refrigerator. And so, rather than having a satisfactory ending to our fight, it just sort of petered out as we had to work as a team to move the refrigerator away from the wall and find the burrito. Not one of my prouder moments. My rangetop and my double wall ovens, though they will likely show up on some television show or other (maybe Antique Roadshow), are here to stay for a while. They work fine, and we always come back to our same mantra: WWWD. That is: What Would Wilma Do? And as long as something works, she would keep it. And we will too. Unless it somehow comes between me and my martini. That’s the death knell for appliances in our household.